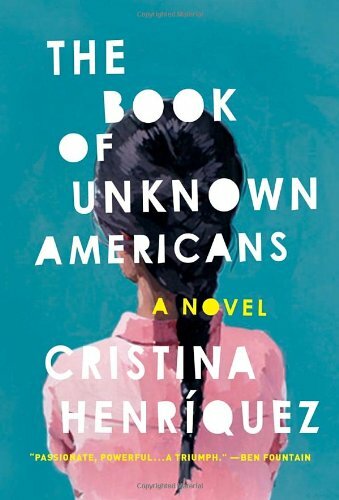 Cristina Henríquez’s second novel, begins in the voice of Alma Rivera, who has just crossed the U.S.-Mexico border — legally — with her husband, Arturo, and her daughter, Maribel. They are heading to Delaware, where Arturo, a former construction site manager, has taken a job growing mushrooms. He will eventually have to stand in the dark for ten hours a day with no break, in a place where no one stops to eat. He’ll come home each day exhausted. Arturo has taken this job not because his family had a bad life in Mexico but because Maribel was hurt at his construction site, and they are hoping a special school in Delaware can help her. Arturo is sacrificing status and security for Maribel’s health. Alma’s is the first in a series of vignettes, first in her own voice, then in Arturo’s, then in the voices of the people who reside in the apartment building they come to inhabit, all Latinos in diaspora, with widely ranging stories of arrival and survival in the place they’re now trying to see as home. As the stories pile up, framing the central action, it’s hard not to think a little of Sarah Jones’s remarkable 2004 play Bridge and Tunnel, which told stories of transit and arrival in quick deft episodes, or of Sandra Cisneros’s groundbreaking The House on Mango Street, a coming-of age-story whose shifting lenses captured both a community’s interconnectedness and a young woman’s maturing. ~ by eneryvibes on 1,January 11, 2015.